Converts many GroupWise mailboxes to Office 365 accounts. I was thinking of migrating 2 TB of data to Office 365 from our Novell GroupWise server and with Kernel Office 365 Migrator for GroupWise, I was able to do it without facing any hassle. I highly recommend this tool to all those who are looking for migrating multiple or all mailboxes of Novell GroupWise to Office 365 environment. You guys rocks! Simply the best and most effective software I come across. Although, there are various software available in this industry, but this is completely different from others. 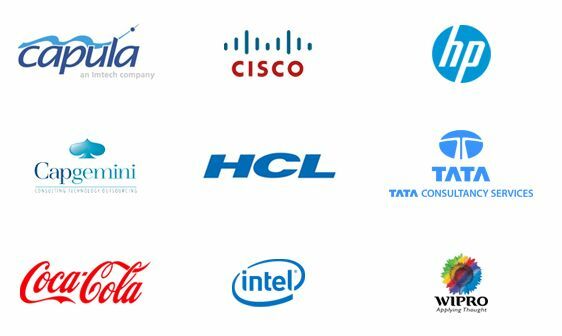 It has got some of the best functionalities that I was not able to find in any other application. Trust me friends, you all can rely on this product. Always considered performing email migration from Novell GroupWise to Office 365 as the most difficult task, but not anymore! This software allowed me export Novell GroupWise mailboxes to Office 365 in few easier steps. The software migrate single as well as multiple mailboxes from Novell GroupWise to Office 365 very quickly. Great product! The software executes correct migration of messaging data including emails, contacts, notes, drafts, tasks, attachments, deleted items, sent items and many more ensuring all your existing data is available in new environment. It guarantees to complete the migration process without causing any disturbance to an existing email environment. With the help of this software, you can perform the select items migration. In fact, you can export items from mailbox, based on parameters like ‘items types’ such as mail, tasks or contacts, and date range. One must, however; provide the Office 365 login details that include Login Name and Password. The software provides its user with the option to preview the content of GroupWise mailbox folder, like Emails, calendar, contacts and other items before starting the migration procedure. All you need to do is: selecting any GroupWise mailbox folder and the tool generates an instant preview. Kernel Office 365 Migrator for GroupWise software also performs batch migration to convert multiple mailboxes simultaneously and enlists them in simple Excel worksheets. However, in order to perform multiple GroupWise mailboxes migration, one got to take help of .NUCON batch file. The software has the unique ability to migrate archive items. User would require the activation of the Show Archive checkbox from the "Migrate Archive items" section for the migration of archived items. The software facilitates its user to migrate archive mailbox items of GroupWise mailbox to Office 365 without creating any hassle. To operate the software, it is not essential to possess any technical knowledge. 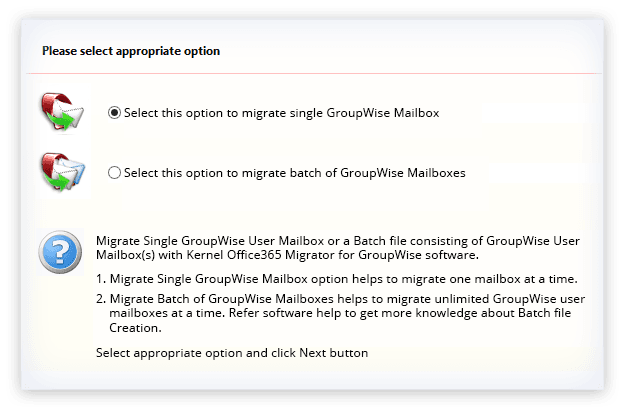 Migrate your GroupWise user mailboxes while choosing advanced settings like, ‘export into existing folder’ in Office 365, change name of GroupWise folders, GroupWise login options for batch file, etc. Your data is migrated with total precision from source to target mailbox. It maintains original properties, structure and formatting of data (including Unicode characters) during the entire procedure. 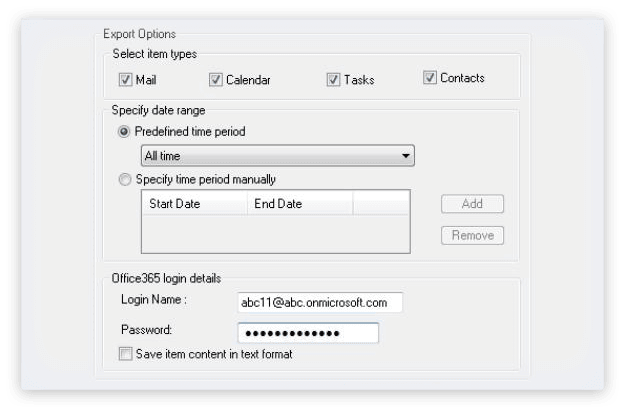 SaveIn this step, after having preview of emails or other items of GroupWise User Mailbox, select the item types along with the date range that need to be migrated to Office 365. 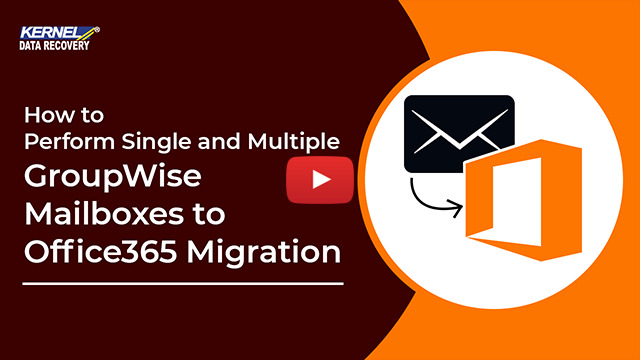 How to migrate GroupWise mailboxes to Office 365 with the help of Kernel Office 365 Migrator for GroupWise software? Select the migration option from the two options and click Next. Select the Mode from the three options: Default, Login and Command Line Mode. 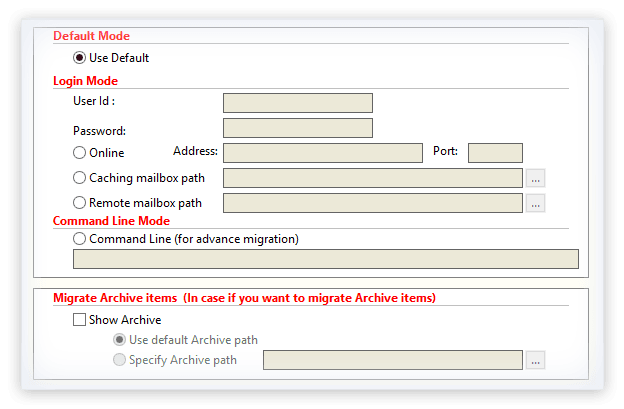 Also, if you want to migrate Archive items select the option provided and click Next to proceed. Preview the GroupWise mailbox items and click Next to start the migration of mailboxes to Office 365 mailbox account. Using this software, can I migrate unlimited mailboxes from GroupWise to Office 365 without any hassle? Yes! With this software it is very much possible to migrate unlimited GroupWise User Mailboxes at once. Batch file eliminates the pain of converting Single GroupWise User Mailbox one by one. Creation of batch file helps in saving the valuable time of administrators. I want to batch migrate from or to GroupWise using this software. Now, is it essential to know the each user’s password and I.D? Definitely, it is very much essential for you to know the ID and the password of the user mailbox which you want to migrate. It is important for you to know the logon and password in order to connect to the GroupWise email server. Performing a batch migration is always going to consume ample amount of time. How can I speed up the entire process while using this software? After selecting the .NUCON file, you would require to click the EXPORT button. Now, during the Saving Process, you can Hide/Show the process information to speed up the save process. You got to click the Hide Progress button to hide it and click Show Progress button to again resume the progress. After an effective completion of saving process, the software will display the following message:"Saving Complete". It indicates that Novell GroupWise mailbox emails and other items now have been saved and can be easily viewed in Office 365. Does the software modify the structure of mailbox data items and folders after migration? It is a very well programmed software with the help of advanced smart algorithms that does not apply any changes to the data items or folders of the mailboxes during and after the migration process. All the properties are stored to Office 365 mailbox account as they were in GroupWise. How much does it take to export GroupWise mailboxes to Office 365? The mailbox export time depends on the size of the mailboxes that are migrated to Office 365. Most convenient tool to help your client to move the GroupWise to Office 365. I managed to migrate some older archive items from the GroupWise Server. "I am impressed with how seriously they take their customers I called support team for an issue I was having. The support person was very humble and listened my problem very patiently and finally provided me with an effective solution." Lepide Software Private Limited announces the release of Kernel Office 365 Migrator for GroupWise - competent and result oriented software to migrate from Novell GroupWise Server environment to Office 365 environment. It flawlessly migrates user mailboxes, calendar, tasks, and personal address books and stores them in the user's new mailboxes on Office 365. It helps the user to attain provides secure and precise migration from GroupWise to Office 365. Quick conversion of GroupWise mailboxes to Outlook PST without any data loss. Instant migration of Live GroupWise mailboxes to Live Exchange Server. Quickly migrates GroupWise mailboxes and other items to AppleMail.